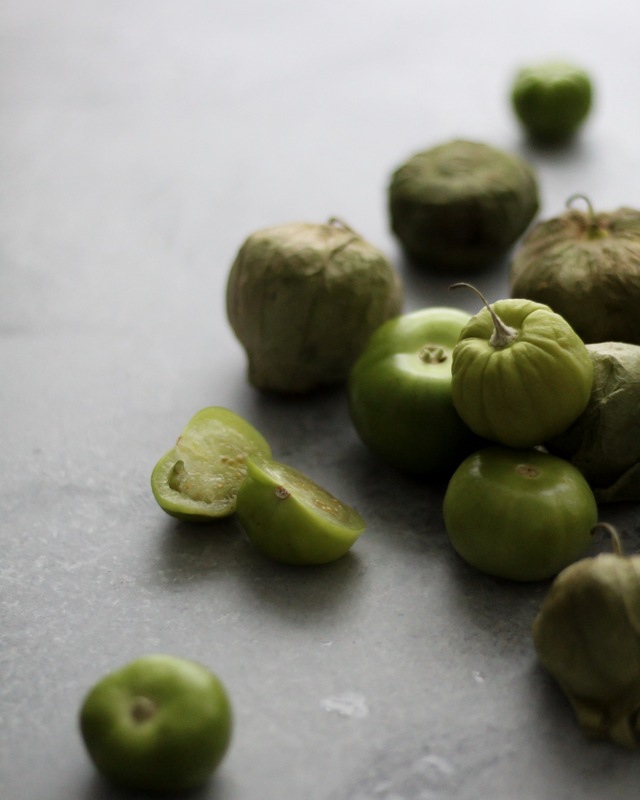 Extra tomatillos from the garden or local summer market? Try your hand at making fresh salsa verde! Goes great on Enchiladas Verdes with Potato and Black Bean Filling ! roasted tomatillos, garlic, onion, and spices make a salsa verde that you'll love in only 10 minutes! Turn on broiler in oven. Slice tomatillos in half and place with the cut side down on a baking sheet. Add garlic cloves to baking sheet. Place sheet under the broiler, and cook until the tops of tomatillos are slightly charred and garlic is roasted, about 5 minutes. Remove and set aside. In a blender, add all ingredients (tomatillos, garlic, onion, jalapeño, cilantro, and lime juice). 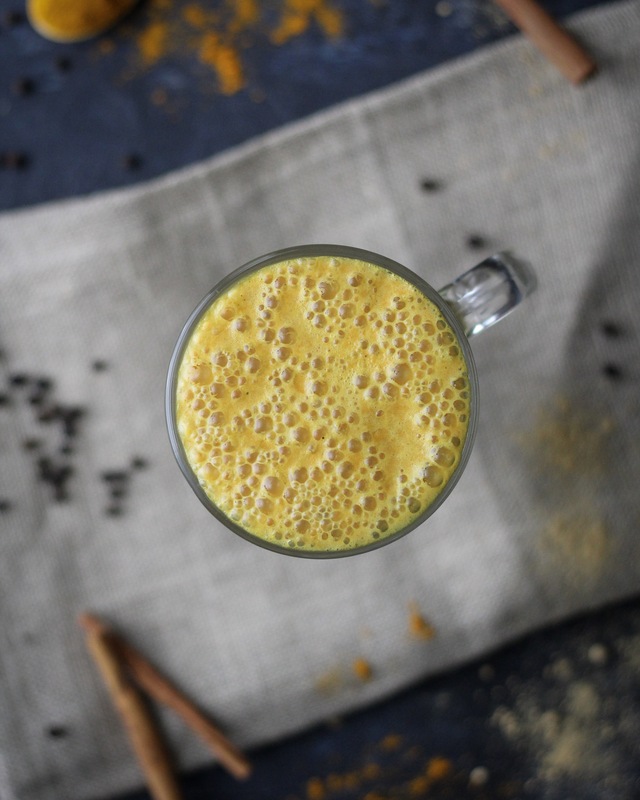 Pulse until well blended. Add salt to taste. -Makes about 1.5 cups of salsa. 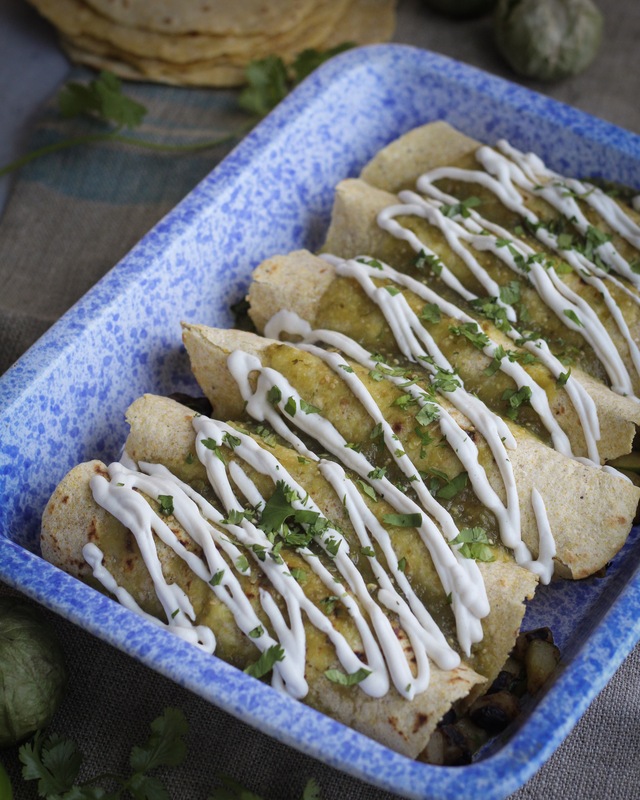 -Try this fresh Salsa Verde on Enchiladas Verdes with Potato and Black Bean Filling !